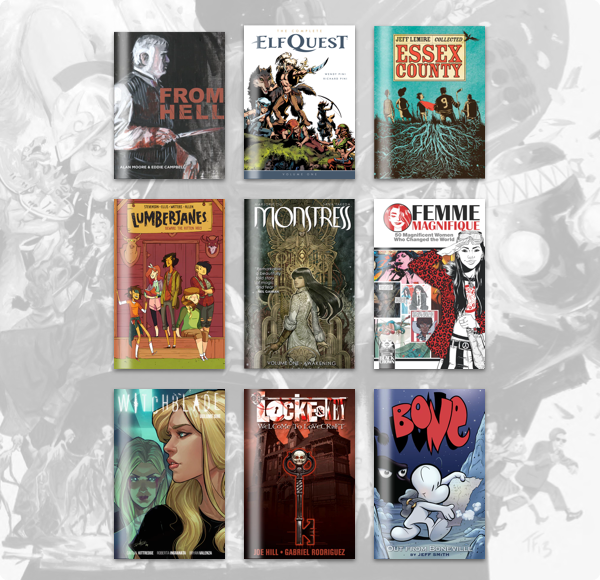 The Humble Comics Bundle: Start Here! just launched on Wednesday, February 13 at 11 a.m. Pacific time! This is a first! We’ve teamed up with a lineup of awesome publishers for a bundle of first issues. Get comics and ebooks like Fence Vol. 1, Monstress Vol. 1, Saga Vol. 1, Ghost / Hellboy Special, Love & Rockets: Maggie the Mechanic, Complete Elf Quest Vol. 1, and Attack on Titan Vol. 1. You’ve gotta start somewhere, and by golly, this looks like the place!